(please be aware of the spelling and capital letters). As an admin of your Frontify environment, you can now open your usage overview page in Frontify and (1) create new user groups with your SSO information, or (2) edit existing user groups and enrich the SSO mapping information. For everyone who is not familiar with SSO: you’ll get the mapping information from your internal IT services. They can provide you with the available mapping information, e.g. business units, teams, working fields, or similar. It’s also possible to send more than one group permission with a user login. This information is also comma-separated inside the request, between the apostrophes. 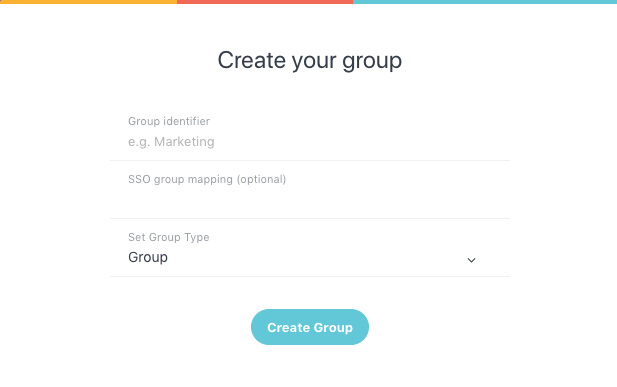 If you create a new group, you’ll find the field "SSO group mapping (optional)“ in the pop-up window. In here, you can now add your SSO information. 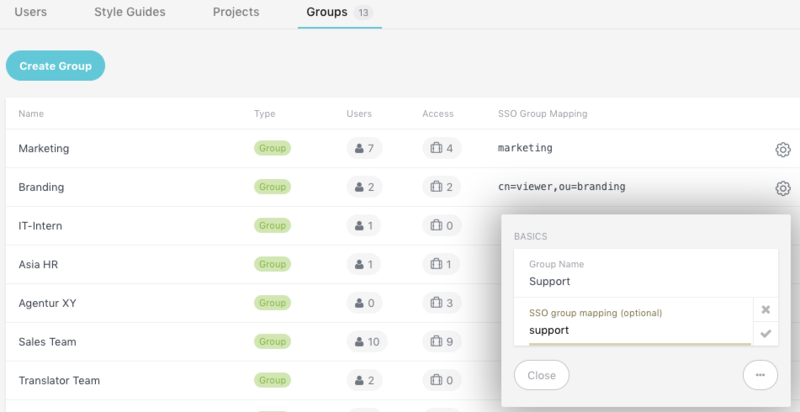 If you want to edit an existing group, and enrich it with your SSO group mapping, you can simply open the usage overview page in Frontify and open the tab "Groups“ – here you’ll find the overview over all your existing groups. By clicking the settings wheel at the end of the line, you can change the group name, or add the SSO information. By the way – you can work with manually created user groups, and SSO mapped user groups, at the same time.